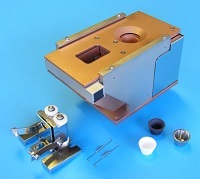 We also supply spares and consumables for the Edwards / HHV ScanCoat Six bench-top SEM sample coater. 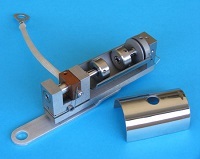 These liners are matched to the Edwards / HHV EB3 electron beam source. 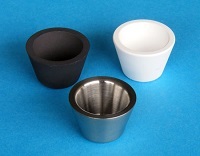 Available in graphite, molybdenum, boron nitride, intermetallic and aluminium oxide. 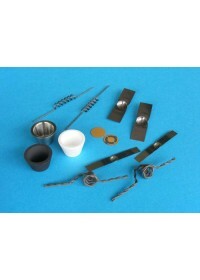 We also offer replacement filaments for the EB3 source. 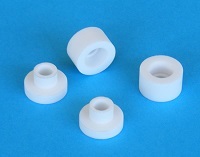 The EB3 filament also fits the older Edwards EB1 source. 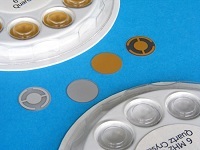 High-quality 14mm diameter, 6MHz quartz crystals for use with Edwards FTM5, FTM6 and FTM7 film thickness monitors, plus equipment from Inficon, Sigma, Intellemetrics and other manufacturers.